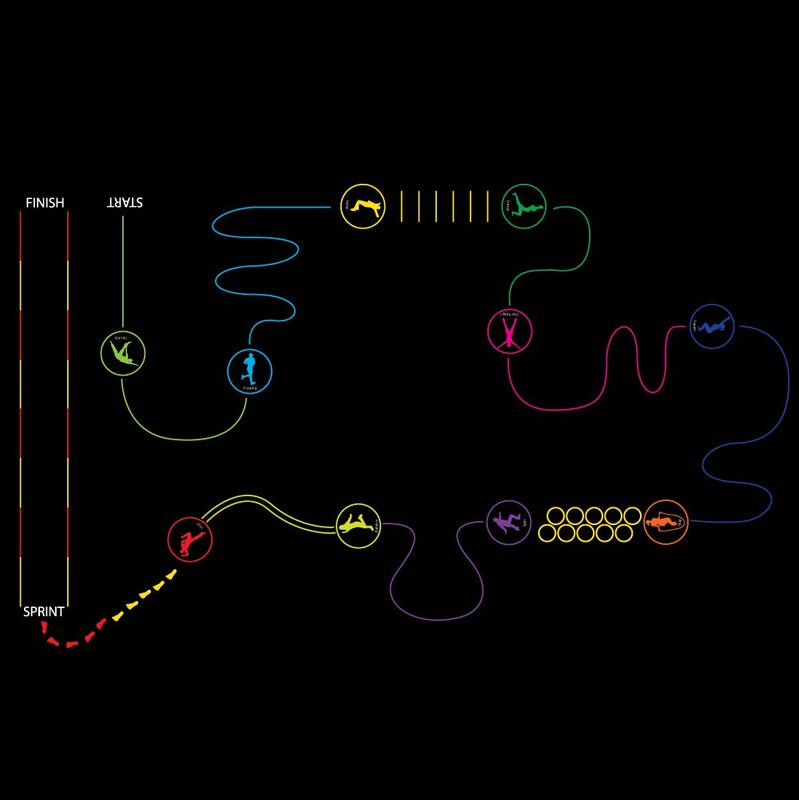 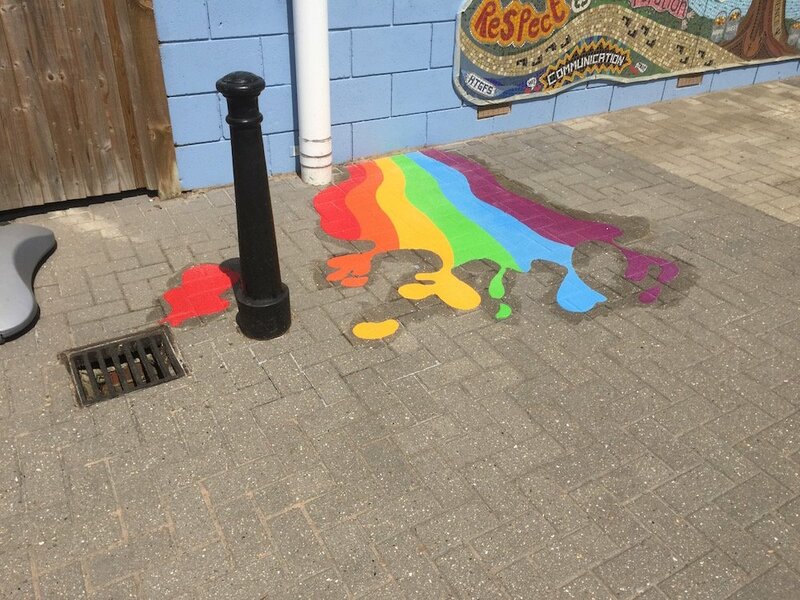 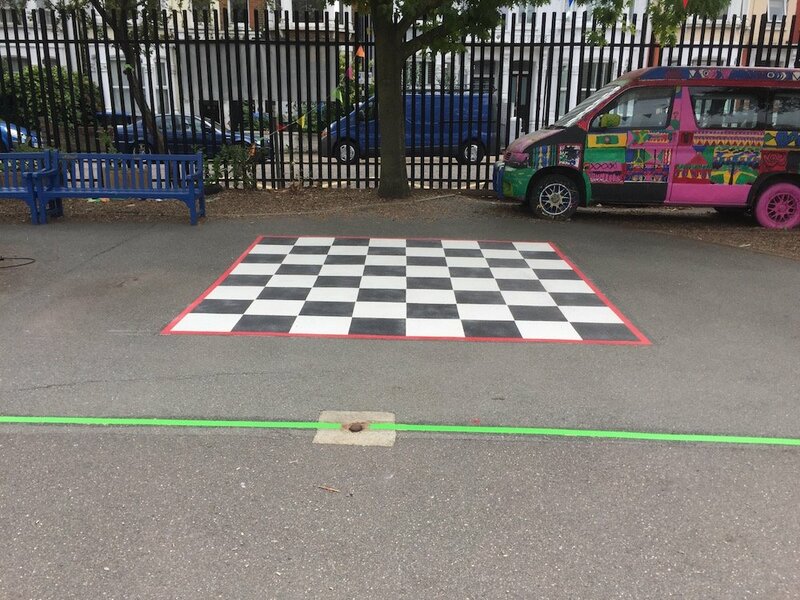 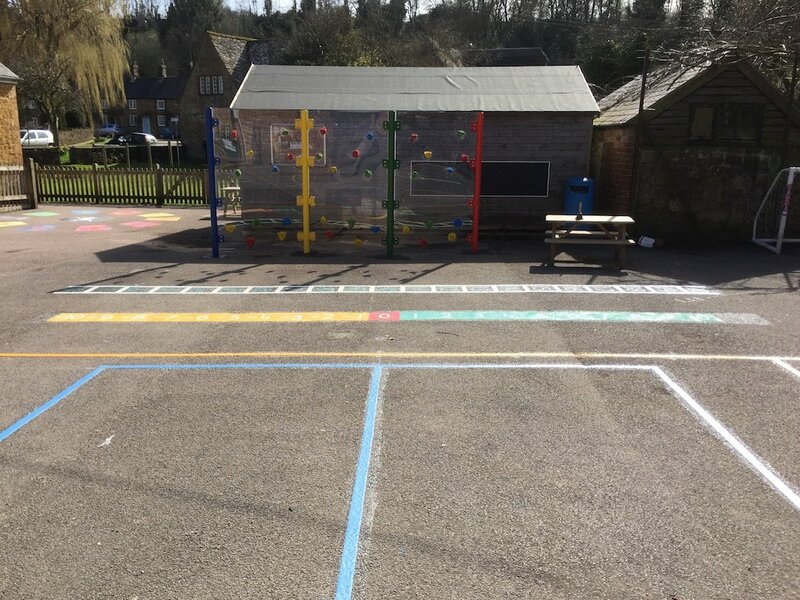 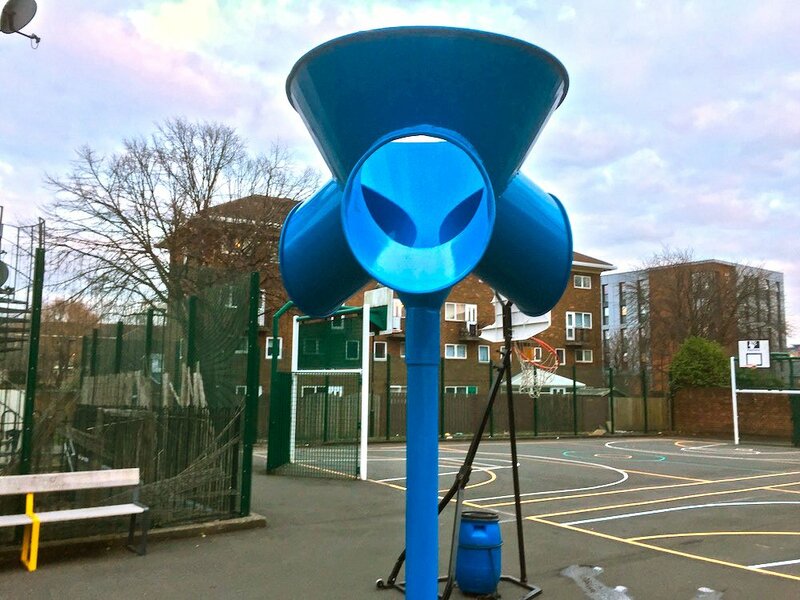 The first4playgrounds installation team completed a range of Playground Markings for a Primary School in Oxfordshire which included a colourful World Map, engaging Number Ladders and a host of Traditional Games. 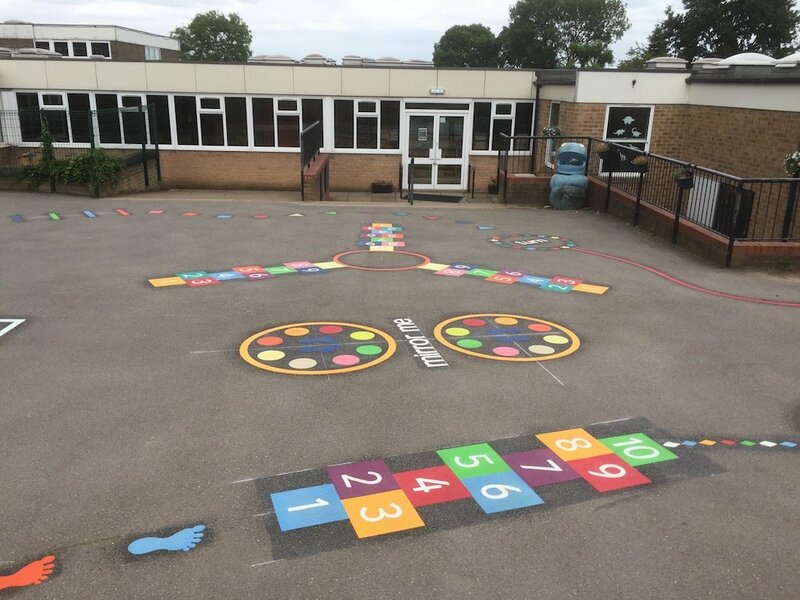 These markings consisted of a World Map, two Number Ladders and a Netball Court. 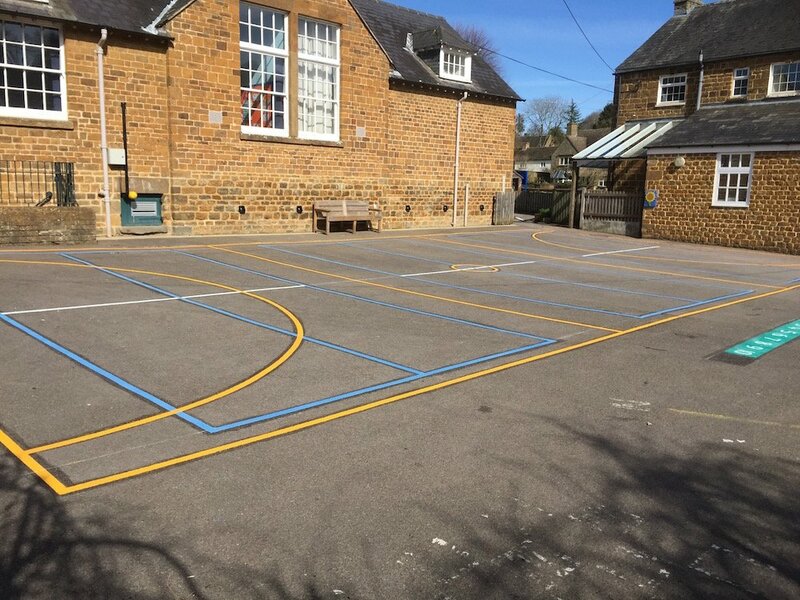 The Netball court also contained three Short Tennis Courts. 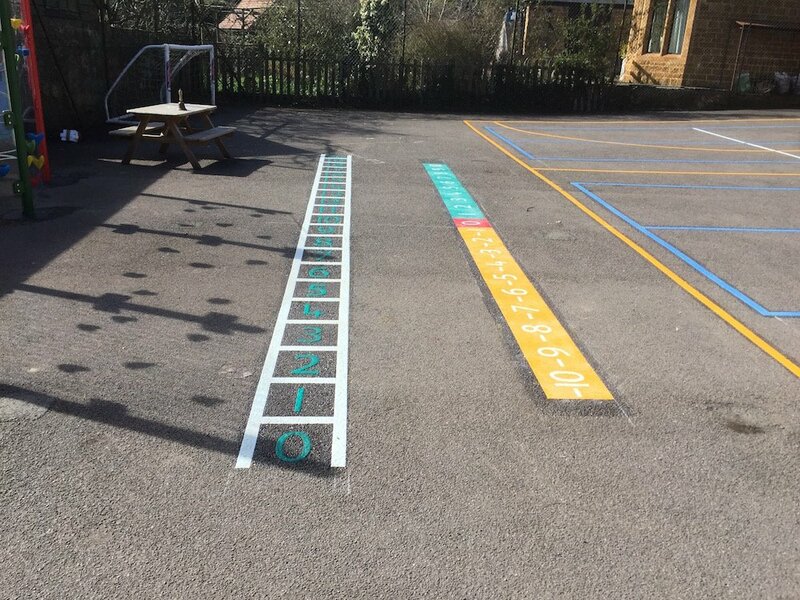 Firstly the team completed these two different styles of Number Ladder. 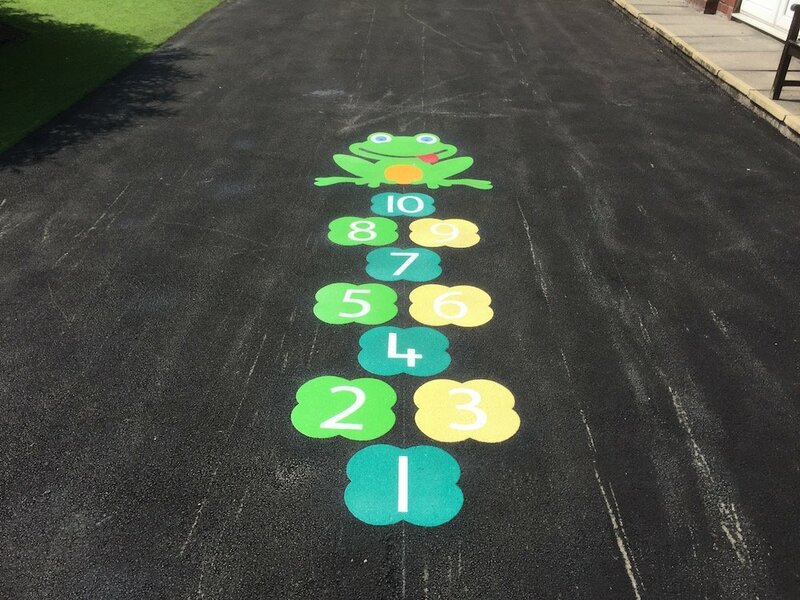 The Number Ladders are a great game for young children learning positives and negatives. 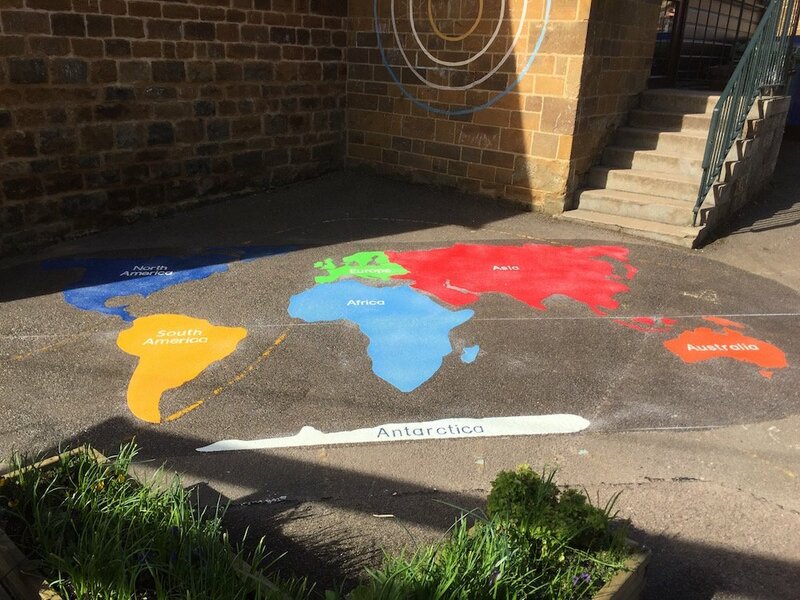 Next the team installed this World Map. 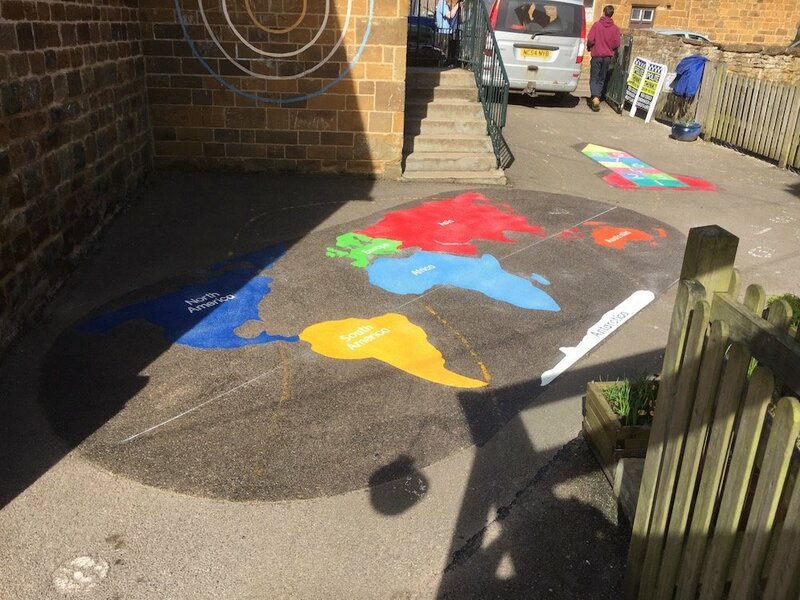 The world map is a brilliant addition to any play area, giving children an accurate representation of the Earth and its continents. 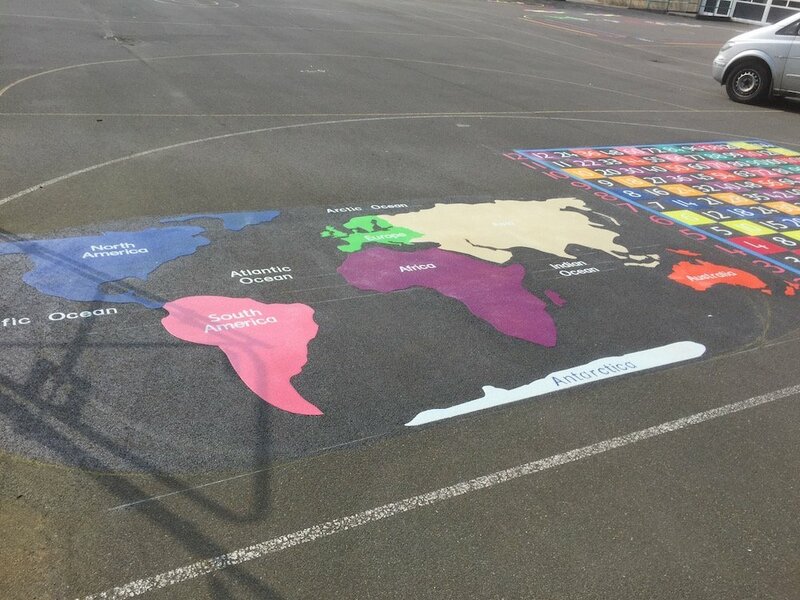 Teachers use this Playground Marking as a teaching aid for Geography lessons. 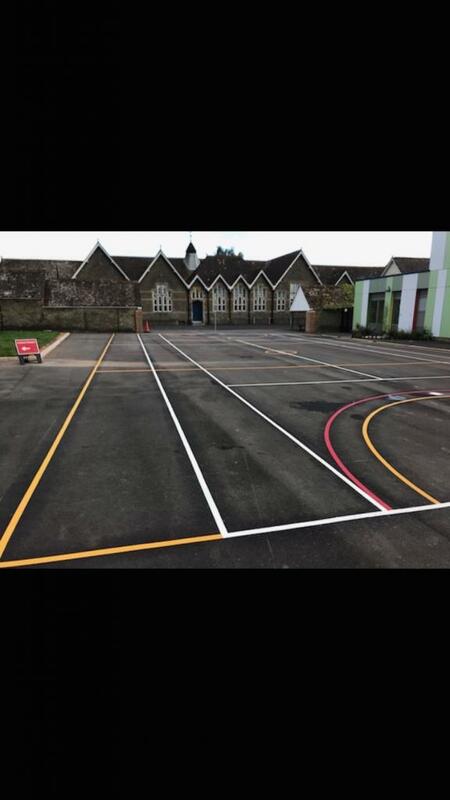 Finally, the team installed this Netball Court. 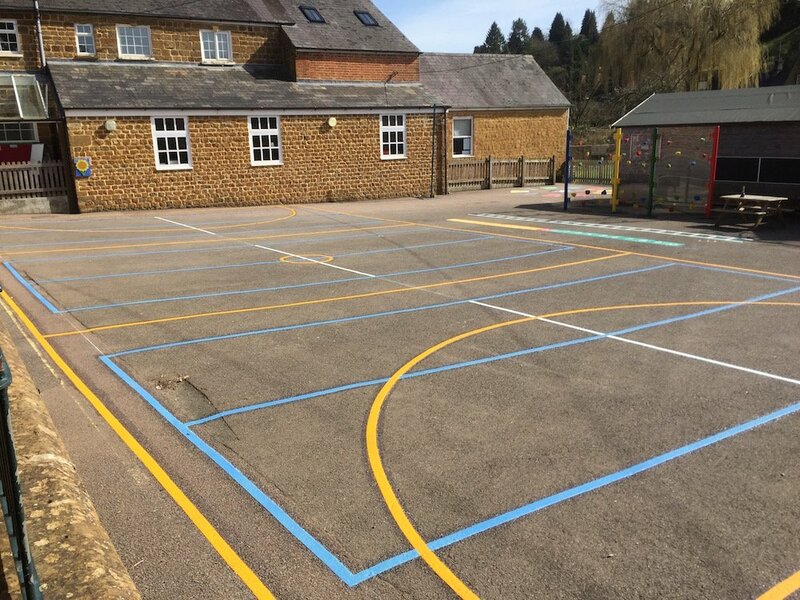 The Netball court contained three short tennis courts inside of it.